DECEMBER 8th, 2015 – (EHM) a healthcare business consulting firm, was selected by QPS Medicals to help secure contracts with integrated delivery networks and group purchasing organizations across the United States. As a National distributor of disposable medical supplies to Healthcare Systems, Blood Centers and Dental Practices, QPS Medicals takes pride in understanding customers' needs and ensuring that the right product gets to the purchaser at the right time at an affordable price. QPS creates custom product offerings for each customer to meet the specific demands for inventory and product that fits the need of the individual purchaser. The company is a recognized national MBE. The company goal to provide its customers a quality return on their purchasing investment has helped shape QPS Medicals into a growth-focused organization with a solid foundation in core values. Values precede any and all growth and that’s what makes QPS Medicals successful. I hate the word consultant. I bet you do too. As a kid, nobody thinks “I’m going to grow up to be a consultant”. Most people think a consultant is “a guy that lost his job”. The sad fact is that in a lot of cases, this is true. Consulting as a profession is a legitimate path for many former executives. And many are brilliant in their subject matter and do quite well bringing value to clients. The word consultant has a bad connotation because the former far outnumber the latter. This is why – and I’m not kidding here – almost every client I’ve ever engaged told me the story of at least five guys before me that were terrible failures. I’m not saying people set out to be bad consultants – I’m saying that being a subject matter expert and delivering value as a consultant are two different things. To be successful, you must bring both skill sets to the table. To be honest, it took me a good number of years to understand this idea of how to provide value in an advisory capacity to companies. This is the missing link between client satisfaction and consulting’s bad reputation. Be able to define how you help solve problems – I find being able to whiteboard how I work really helps clients see how they will arrive at a solution. Make sure you use a letter of agreement and get signatures. Use Scope of Work documents to keep everyone on the same page. Collaborate with clients as much as possible. Let them in on your process. I find that clients prefer honesty over hype. 2014 was EHM’s most successful year yet. As the Affordable Care Act rolled out nationally, we were consistently called upon to help suppliers and providers to make sense of new requirements, processes and regulations. The good news is that our supplier clients had average growth that was more than twice the national average, while also utilizing our proprietary tools to reduce their own operational costs. We are happy to say that as an organization we helped almost 30 suppliers to gain new national and regional/local agreements. Our organization also excelled at implementation within these contracted groups. Our suppliers really become the best partners to Health Systems and GPO’s – offering real, impactful savings and improvements. As an organization we have begun the process of restructuring. In the next few months we will progressively roll out a NEW EHM. This new company will have a new look, a more interactive website with a portal for clients, and an integrated network of solutions for facilities and systems. The New Essential Healthcare Management, as originally envisioned – is coming to life! With five divisions, we will be the “go to” experts for providers, suppliers, and payors. We have taken everything that has been learned in the last eight years of trial and error, success (mostly) and failure – and applied it to a new platform. We will still have our existing supplier consulting firm, which will be helmed by someone the industry knows and respects (to be announced later!). Additionally, we have created a Purchased Services Consulting Division that is designed to bring the best tools and processes to health systems, without the BIG price tag of BIG consulting firms. We can analyze spend very quickly – only a few days - with the ONLY automated system for cleaning, categorizing, and benchmarking spend data in services. (Seriously there are nearly 700k different vendor variations categorized thus far!). Then our team of 25 experienced negotiators can go after best local/regional/national agreements and consolidation on behalf of the hospital/health system. No payment required until savings in realized! No attachment to a particular portfolio – just the BEST pricing and options for your system – and it is all done in an unobtrusive and inexpensive way. Secondary to that process we have a team of experienced consultants in areas such as waste management, energy usage, leveraged branding, non-traditional revenue generation and more. Our other divisions will encompass various software and service solutions ranging from ZOS Location Identification Services, SQBX Tracking and Splunk Data Management - to Essential Healthcare Sourcing, and our own Private Equity Fund to create even more opportunities to give the industry’s smaller suppliers a boost when they need it. In April we will officially launch eTracer, our proprietary software that allows suppliers of all sizes to easily, inexpensively and efficiently do their own GPO fee reports, chargeback and rebate reports and commission reports in record time! We are very excited to announce the New Essential Healthcare Management. This expansion is the culmination of years of listening to, and acting on customer feedback. We are constantly striving to create/expand solutions that help remove cost from the healthcare equation while continuing to improve efficiency and outcomes. 2015 will be the best year yet! I would also like to take a moment to say “thank you” to Nancy Kailas and Mike Pola for their years of service and effort helping us to become the industry leader in Healthcare Opportunity Alignment and Execution – bringing suppliers’ solutions to the right people at the right time. Nancy and Mike did such a great job for one of our clients, that he hired them! And they are also creating a new company of their own focused on helping suppliers to better market their products and services to healthcare facilities. We look forward to watching our friends’ new venture grow, and to the good work we will do with them. Next week it will be great seeing old friends and making new ones, at the Federation of American Hospitals Annual Conference. Representing EHM will be Frank Ripullo, Tom Nolan, Mike Bomstad, Katherine Finley, Jeff Hayes, Gary Gustafson, Frank McGrath and Ed Neas. If you have questions about what we do and how we may be able to help you reach your goals in 2015, stop one of us during the conference, or please reach out to Jessica Hartman Devore at Jessica@essentialhm.net or 704-574-2131. Onward and Upward! EHM’s Supplier Consulting Division is the industry leader in outsourced sales and national accounts. EHM really “Partners" with suppliers and providers alike to create sustainable solutions that save money, increase patient and caregiver satisfaction levels and drive system wide improvements in efficiency, utilization and non-traditional revenue. At the same time EHM helps to drive sales for our clients in dramatic ways using our LeanFast EHMPower Process. This approach aligns corporate accounts strategy, sales structure and development, logistics, marketing, public relations and administrative services to quickly improve enterprise agility and domestic and global sales growth for medical industry suppliers. Look for Managing Partner Stan Schroder and Founder and Managing Partner Frank Ripullo at FAH. They would be happy to share experiences and conversation with you. Or please click on the link below to schedule a call. ......and we're just getting started. The 2015 Federation of American Hospitals (FAH) Public Policy Conference and Business E xposition will be held in Washington, DC at the Marriott Wardman Park Hotel on March 1st through March 3rd. EHM is excited to be a sponsor at this highly regarded and well attended. Please look for us. We would love to speak with you! FEBRUARY 20th, 2014 – (EHM) a healthcare business consulting firm, has been selected by Crospon, to help secure contracts with group purchasing organizations, integrated delivery networks, and regional purchasing coalitions across the United States. Crospon, established in 2006, is developing leading edge minimally invasive medical devices for imaging and aiding surgery in the esophagus and stomach. The EndoFLIP® Imaging System is the first in a range of products the company is bringing to market. EndoFLIP® has applications in gastrodiagnostics, bariatric surgery and in other hollow organs where the measurement of dimensions and function is important. 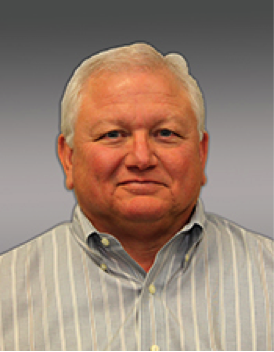 Behind Crospon, lies an experienced team who have years of experience in the medical device industry. Valify's new Purchased Services Intelligence solution quickly identifies savings opportunities for hospitals. Frisco, Texas – November 13, 2014 – Valify, a software-as-a-service company that provides innovative solutions to healthcare providers, today announced its Purchased Services Intelligence solution. This solution allows hospital executives to quickly access and identify savings opportunities within their purchased services spend. Valify’s new offering simplifies the analysis of purchased services spending by using the industry’s only automated solution to quickly and accurately categorize vendors and identify savings opportunities. Within days after uploading the data, Valify customers receive access to an intuitive online tool that strategically organizes spend data, enabling users to easily analyze opportunities, prioritize savings efforts and better prepare for vendor negotiations. Founded in early 2014, Valify (www.GetValify.com) is leading the way in bringing innovative technology to the healthcare industry. Valify is driving costs out of the healthcare industry by transforming the purchase of services within healthcare providers. With over 500,000 categorized vendors across 1,000 categories, Valify's unique solution quickly identifies savings in areas that have typically gone overlooked. Essential Healthcare Management (EHM) is a healthcare business development firm with a focus on national account strategy, implementation and new business sales. EHM connects suppliers with key decision makers to accelerate the time it takes to secure a contract and drive incremental sales and market share. In addition, EHM has launched EHM Global Solutions that helps companies overcome challenges and accelerate their sales growth globally. Did you know that exporting companies expand faster and are financially stronger than their counterparts? Studies consistently demonstrate the many financial benefits of selling outside your home market. Companies that sell overseas are more productive, have less volatile earnings, and are, on average, three times as profitable as those that only sell domestically. 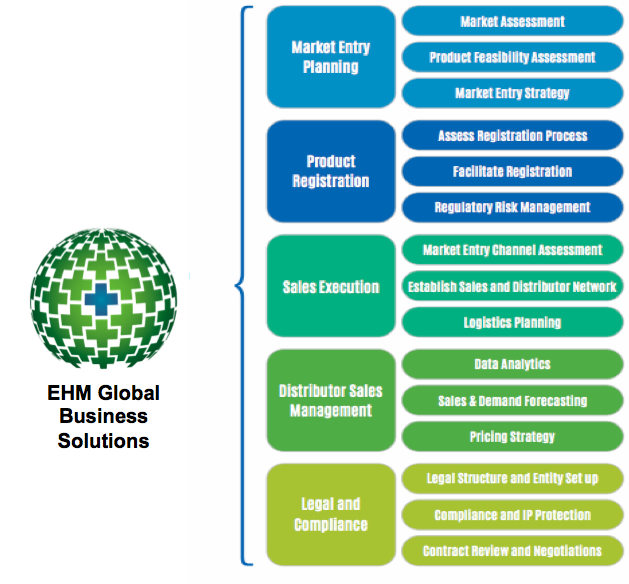 EHM has created a new Global Business Solutions offering to help healthcare companies profitably accelerate their global sales. Whether your company or client is thinking about exporting for the first time, or has started to export but wants to grow faster with fewer challenges, EHM can help. Doris Nagel and Vivek Bhargava, both highly accomplished and experienced experts in international expansion have joined EHM. Together, they bring nearly 60 years’ experience in more than 65 countries, successfully helping companies expand their international sales by double digits. They also leverage a wide network of strategic partners to provide cost effective solutions for companies expanding outside their home markets. As a client you are able to pick various options of services and markets to help your business goals. Doris, who focuses on market entry strategies, risk identification and mitigation, cross-border negotiations and agreements, and regulatory and compliance, observes “Many companies just don’t know what they don’t know.” Many smaller companies are very proud of the business they’ve built, and have a “we can figure it out ourselves” mentality. While it’s true that you can eventually figure it out, it’s likely you’ll spend more money, make more costly mistakes, and spend a lot more time and resources than if you selectively hire a guide who can teach you the formula. Doris estimates that a couple hours of her or Vivek’s time could easily save companies 2-3 months. Both Vivek and Doris have seen most of the pitfalls companies make when expanding internationally, and they are passionate about helping companies grow faster with fewer risks by avoiding these costly mistakes. Vivek focuses more on developing and implementing global expansion strategies, establishing and reorganizing sales channels (direct and distributor), moving businesses from distributors to direct sales models, overcoming operational, trade, and regulatory barriers in major markets. According to Vivek “the most challenging task for a company is to balance an appropriate strategy and drive sales growth. A lot of time companies focus on getting orders without understanding the key strategic components of product registration, finding the right partner, and having the right portfolio for the market.” This is where the EHM global team can help companies find the right balance and drive profitable sales growth. Doris Nagel: Doris began her career at Sidley, a multi-national law firm, working on cross-border transactions. Subsequently, she held senior global business roles at Baxter Healthcare, Allegiance Healthcare, and Cardinal Health. Doris helps bring big-company global expansion know-how to small and mid-sized companies. Vivek Bhargava: Vivek, originally from India, has worked for Baxter Healthcare, Allegiance Healthcare, Cardinal Health, Briggs Medical, and Devicor. 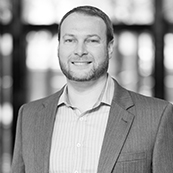 He has successfully advised PE firms, large corporations, and small companies in U.S., Italy, U.K, U.A.E, India, Singapore, Brazil, Chile, and Mexico. He has guest-lectured at universities on the topic of global expansion, and has been quoted in the Wall Street Jounral in 2011. In 2008, he was selected by the U.S. Commerce Department to join Illinois’ District Export Council, where he was active in supporting local companies seeking to grow their exports for eight years. He is also an entrepreneur, founding MedEvolution, a medical products supplier, as well as Global Business Circle, a global network of professionals in the healthcare industry. Internationally. The company wanted assistance assessing the global opportunity for their products, as well as help in developing a plan to take advantage of the opportunities. We identified good growth potential for Women’s health products. We determined that the monitoring devices would be more challenging to sell globally, given pricing and the existing competition. We identified some areas of opportunity for respiratory products. We established a global distributor network and helped the company begin selling the women’s health line of products. We helped the company create global branding for the monitoring devices and improve their cost position, enabling them to plan future global launches of these products. We identified distributors and launched the respiratory product line in a few countries. Global sales for the women’s health products grew by 20% over the 12 months after launch. International sales of respiratory products grew by 65% in year 1. A 10-country pricing analysis for the monitoring products was completed for 10 targeted countries, providing the client with a way to prioritize its global market launches and to focus its marketing strategies in these countries. A mid-sized biotech company was notified that by U.S. Customs of an upcoming audit of their corporate import/export compliance program. The company had some import and export procedures in place and some resources, but the vice president responsible for compliance was concerned that there were pieces in place, but that they were not tied together clearly. The company wanted an import and export assessment to identify the gaps and a blueprint to get the company in a position to avoid problems with the Customs audit. We immediately arranged to have the Customs audit pushed back, and mobilized the company to focus on import/export compliance. We conducted a 2-day assessment on a fixed-fee basis, and then produced a report containing recommendations and steps for the company to take to implement them. As time was short and the company already short-handed, we were also asked to help implement a number of the recommendations. We provided the client with a blueprint for a defensible import/export compliance program, helped the company create many of the elements, and created a practical framework for the company to maintain trade compliance. The company smoothly passed its Customs audit. The client now has a comprehensive and defensible, yet practical trade compliance program, as well as the tools to maintain this program. The management team had increased awareness of the complexity of the trade compliance and the challenges faced by the logistics and supply chain teams, and became more supportive of their initiatives. Functions across the company now understood their roles in helping the company stay in compliance with trade regulations, and several of them became owners of processes and trade compliance champions. The client was able to cost-effectively implement a comprehensive yet practical trade compliance program, with the tools to maintain it. They were able to avoid potential problems with the upcoming audit, and the program continues to pay dividends to the company. They also now have a more efficient supply chain, fewer problems importing raw materials and in shipping products to foreign customers, and better communication between the product development team and the supply chain/trade compliance team. Jim: Nancy, these food service numbers just don’t add up. Your costs are continuing to go up, and food satisfaction scores haven’t moved. I have a proposal on my desk that guarantees significant savings, and I think we need to move forward with it. Nancy: Jim, we’ve made improvements in a lot of areas, and I don’t see how one of the outsourced vendors is going to improve anything. Remember that we outsourced five years ago and those savings never did pan out. How do we even know that this proposal is the best we can do? Jim: All I know is that it’s lower than where we currently are, and we can’t wait any longer. Let’s go ahead and move forward. Oh the age old question when it comes to most of the large Purchased Services categories. It seems to be a very cyclical process. Is this how you run your personal life? “Well, we spent too much at the grocery store over the past 5 years, so let’s try eating out every meal to see if that helps.” No, you would put a realistic budget in place, set a goal to get within the budget over a certain amount of time and then reevaluate how you performed after that time. What is the best way to decide between outsourcing a service and bringing it in-house? You can develop performance indicators, but how do you know whether they’re good or bad? As an example, say that you currently run your own food service department. You know your costs on meal service per inpatient day and your food waste percentages. You can manage the trends over time, but how do you judge whether current performance is within an acceptable range? You need benchmarks for your organization to see how you relate to your peers. If you’re already one of the best performing in your peer group, then your time is better spent elsewhere. If you are under-performing your peers, then you can easily set goals based on the best performance. In the end if you do make the decision to outsource, you should have benchmark data on each vendor so that you ensure that the proposals in front of you are competitive. Imagine that you get reliable information that says that based on peers with similar patient census you could save 15% if you were running efficiently. The best practice would be to go to your Food Service Director, show her the facts and explain that the hospital desperately needs to save this 15%. You give her a 6 month deadline to try and realize these metrics. You also tell her that if she does not meet this goal, then you will need to look at outsourced vendors that can guarantee these performance metrics. This gives your Food Service Director a fighting chance to right-size the ship before you take drastic measures. Can you imagine the loyalty that the Food Service Director would have, not only to you as her leader but also to the hospital, if she was able to achieve this goal? Most of the time leaders like this get blind-sided when their organization decides to outsource their department. Why not give your directors the chance to realize the necessary savings on their own first? To do this, you have to arm your department leaders (EVS, Biomed, Food Service, etc.) with the data they need to succeed. The first step is to gain visibility into all of your Purchased Services data through a tool like Valify, so you can clearly see where the opportunities for savings are located. Don't blindly select categories for your contracting team to work on. Arm them with intelligence so they realize the biggest bang for the buck. If you want to see exactly where the waste is in your Purchased Services spend, schedule a demo with Valify today. 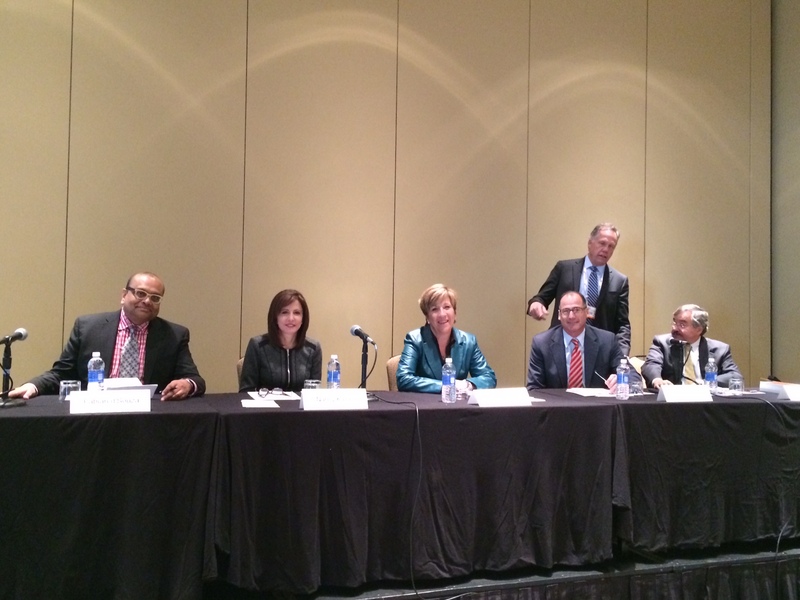 Nancy Kailas, Executive Vice President for EHM, participated on a panel at Avamed’s 2014 conference, International Seminar on October 9th. 150 MedTech companies outside the US seeking to launch products in the US Healthcare market attended the seminar. The panels provided context and guidance for international companies on navigating regulatory pathways, planning for reimbursement, understanding operational compliance and developing strategic partnerships with industry and government in the US. KitCheck is the leading provider of automated pharmacy kit processing software for hospitals. Launched in 2012, Kit Check solves the inefficient and error-prone manual process for replenishing hospital pharmacy kits. Pharmacy kits are staged throughout hospitals for rapid physician and nurse access to critical care medications. Kit Check™ customers have reduced replenishment processing times by over 90% while simultaneously improving pharmacy kit accuracy and safety. Pinnacle Business Solutions is a full service transportation, warehousing and logistics company with years of experience. iTacit is a next-generation technology company that builds cost-effective products to connect and engage your team, making your organization smarter. The comprehensive multilingual workforce optimization cloud platform includes Recruitment & Onboarding, Train ing & Education, Policy & Compliance, Collaboration & Communication, Performance Management and Surveys. Furthermore, iTacit develops Big Data technology that delivers unprecedented visibility into an organization. Total Scope, Inc. is an ISO 13485 certified direct repair facility for flexible scopes, surgical cameras and rigid scopes. Please contact Jeff Hayes, jhayes@essentialhm.net for more information. SEPTEMBER 24TH, 2014 – (EHM) a healthcare business consulting firm, was chosen by Pinnacle Business Solutions to help secure contracts with group purchasing organizations, integrated delivery networks, and regional purchasing coalitions across the United States. Pinnacle Business Solutions is the next evolution in the logistics industry by starting at the core of their business, the customer. Aiming to meet customized services without sacrificing true customer service. Offering line haul, routed, and other services to deliver at your speed, and becoming the new standard in logistics.